For comfort that just keeps going, and going, and going try Toby from Børn®. Full-grain leather, nubuck or croco uppers are easy to clean and maintain. 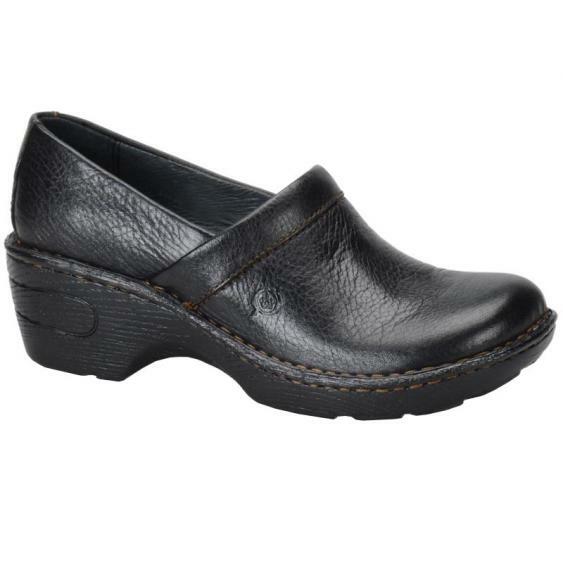 Smooth leather linings promote a healthy, dry environment for your feet. Heel-to-toe padding offers lasting cushioning and comfort for extended wear. A stable steel shank provides superior support for those long days. Sturdy polyurethane outsole is extremely lightweight and durable. Opanka hand-sewn construction provides long-lasting wear and flexibility. 2" heel.